KRL: Where are you from? Deri’Andra: I was born and raised in New Orleans, LA. Deri’Andra: I first became interested in acting when I was accidentally cast in my high school’s production of Dreamgirls during my junior year. I went to the audition with the intention to support my best friend and the director looked at me and asked me to sing a song. I proceeded to do so and was cast in the show on the spot. I was definitely bitten by the acting bug that day. KRL: How fun! What a happy accident. What was the first role that you ever played? Deri’Andra: The first role that I ever played was Deena Jones in my high school’s production of Dreamgirls. Our show was later picked up by BET (Black Entertainment Network) and featured in a six-week reality series called One Night Only. The network wanted to show how my castmates and I were rebuilding our lives after Hurricane Katrina, juggling academics, and starring in a high school musical. Deri’Andra: Mimi Marquez is actually my first leading role in a musical. Prior to this experience, I understudied the role of Michelle Morris in a production of Dreamgirls in Seoul, South Korea in 2017. It was my first professional theater job and one that I’ll never forget. KRL: Why did you want to play this role? Deri’Andra: There was something about Mimi’s passion, vulnerability, and determination that I could identify with. A friend of mine told me to watch Tamyra Gray’s Broadway performance of “Out Tonight” on YouTube and after watching her, I said, “I want to do that!” A couple days later, I received an email from the casting company asking me to prepare the material for “Out Tonight” and the rest is history. KRL: Were you already a fan of Rent? Deri’Andra: My first memory of Rent was hearing “Seasons of Love” for the first time in high school. I didn’t know anything about the storyline but the words immediately pulled at my heart strings. It wasn’t until I was asked to audition for the show that I watched the live Broadway performance. I watched it three times and cried ever single time… I’ve been a fan ever since. Deri’Andra: I love the fact that Rent is such an iconic show. Most of our fans have been following the show for more than 20 years and show so much love and support now matter where we’re performing in the world. I love looking out into the audience during “Seasons of Love” and watching people sing the lyrics verbatim, clap along, and cry tears of joy. It’s the best feeling ever. Deri’Andra: The biggest challenge in playing this role was building up the stamina to perform “Out Tonight” into “Another Day” eight times a week. “Out Tonight” is such a physically demanding part of the show. During the song, I’m singing and dancing while swinging, hanging and jumping from the Mimi loft. I don’t think it can get any challenging than that… Our choreographer Marlies Yearby, who’s the original Broadway choreographer for Rent, advised me to run on the treadmill while singing for 20 minutes and complete at least 20 sit-ups daily. Deri’Andra: I had to do a lot of physical and emotional preparation for this role. During this process, working out has become my best friend. I was also forced to tap into some areas of my life that correlates with Mimi’s struggles in order to bring out raw emotion in scenes like “Without You” and “Goodbye Love.” We’ve all been in love or will experience it at some point in our lives and because of that, I’m able to relate to Mimi’s love for Roger. I’ve never been on drugs or experimented with them in any way but I have witnessed people in my neighborhood and even some of my family members deal with drug addiction. When I was 7 years old, I lost my father to gun violence so during “I’ll Cover You,” I’m able to reconnect with the same emotions that I felt when I attended his funeral. KRL: What do you like best about this show? Deri’Andra: I love the fact that Rent is such an iconic show. 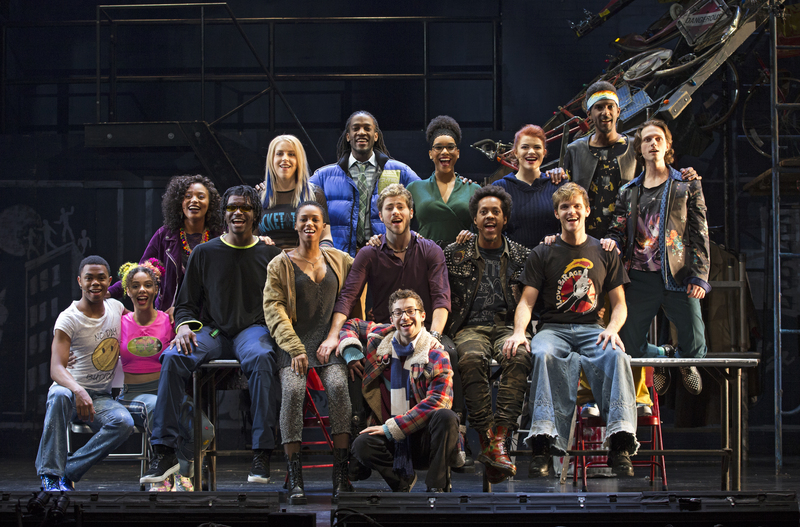 Most of the Rent-heads have been following the show for more than 20 years and show us so much love and support now matter where we’re performing in the world. I feel so honored to bring Mimi to life for our fans 8 times a week. It is definitely a dream come true for me. Deri’Andra: A typical day for me consists of waking up, getting breakfast, working out, eating lunch at a local restaurant, warming up and getting ready to perform. I try to do fun activities like visiting a museum, catching a movie, or hanging out with my castmates whenever we have some free time. Deri’Andra: Thank you so much for featuring me on your magazine! I truly appreciate it and I hope you can catch one of our shows someday. Sending lots of love and light to you and all of your readers! 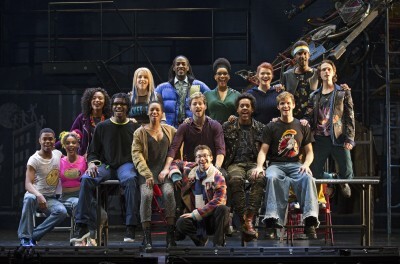 Rent performs in Fresno February 6 and 7 at the Saroyan Theater in Fresno. Tickets can be purchased on Ticketmaster and you can get more info on the Broadway Fresno website.